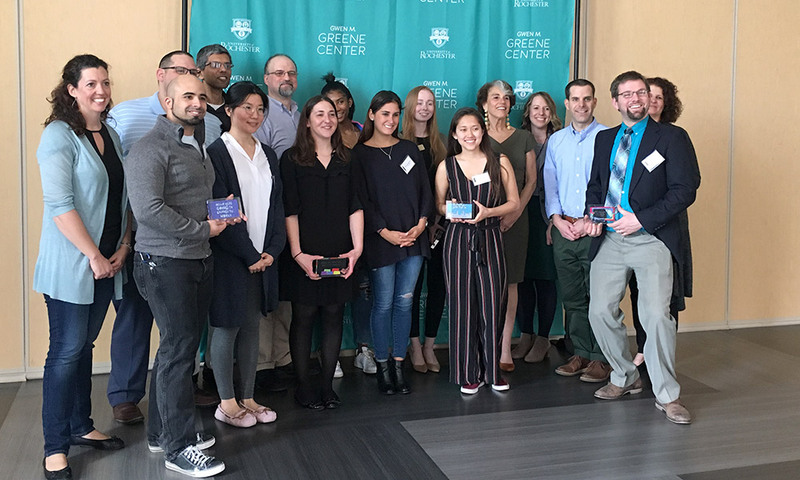 Twelve awards were handed out Friday at the third annual Gwennies Awards luncheon, presented by the Gwen M. Greene Center for Career Education and Connections. The event honors partners who exemplify the center’s values—respect, collaboration, diversity and inclusion, betterment, and purpose. The awards were presented at Feldman Ballroom in Douglass Commons. University president Richard Feldman told those in attendance that the Gwennies represent the “great success” of the Greene Center in recent years.